Native deciduous tree. 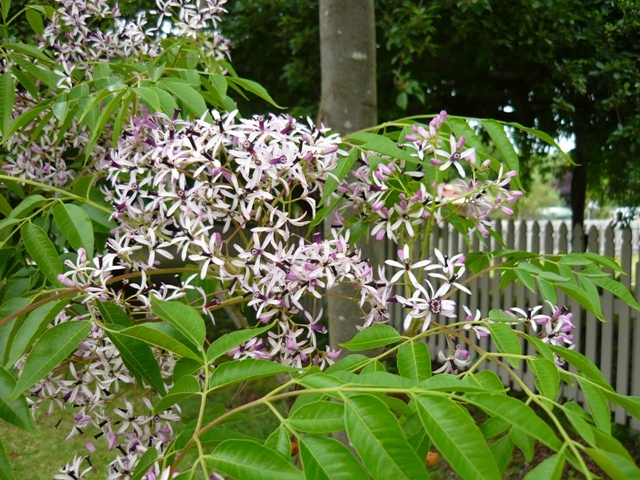 Fragrant lilac coloured flowers in October/November with handsome bright glossy green foliage. 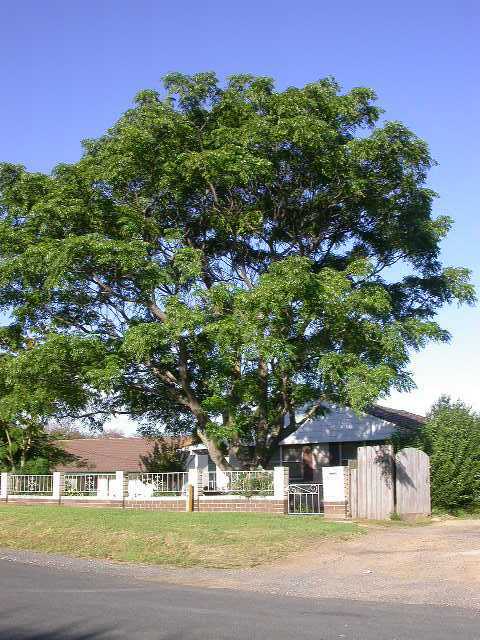 Its wide almost horizontal branching habit make it a lovely shade tree. Orange-yellow berries can be toxic to small animals so is unsuitable as a paddock tree. Frost tender when young. Moderately fast grower.